As the time for end-of-the-year reflections approaches, we would like to thank you for trusting us with your texts. We really enjoyed creating a better proofreading experience for you in 2018 for further on. Please spare a moment to see which of this year’s improvements might be useful for you. 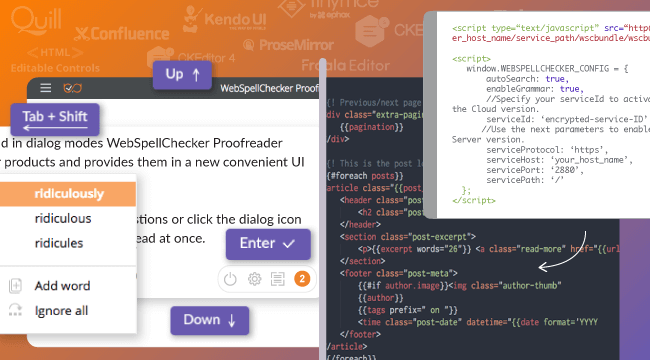 This year we focused our efforts on launching and improving the state-of-the-art proofreading tool, comprising all our experience, and new ideas about how spell- and grammar checking should be done nowadays. Proofreading in both instant and dialog modes. Integrated anywhere with a single script. Detecting new editable fields and enabling proofreading in them automatically. 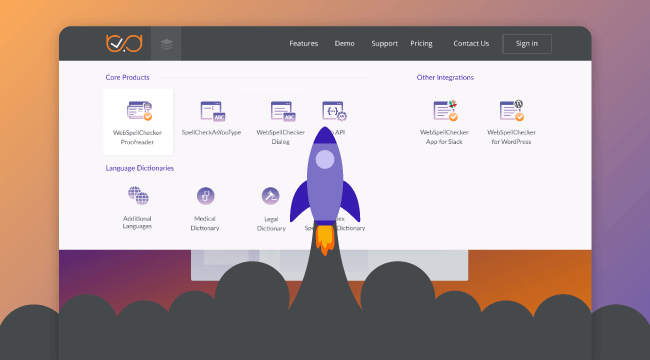 Run by the powerful engine checking spelling in 168 and grammar in 18 languages in all modern browsers. Oh, and did we mention? It is also darn good-looking! To add this newest instrument to your proofreading toolbox, please see the detailed instructions for Cloud or Server version. It takes two to make the text flawless: sleek spelling and immaculate grammar. Over the course of the past twelve months we trained the WebSpellChecker engine to understand and correct grammar mistakes in 18 languages. Seeing is believing – try it out. All the help and reference materials – technical and legal for all the range of our products became conveniently available at one place. With all the big changes introduced this year, we as a company also grown to be different. So we decided to celebrate it with a new web identity. Let us introduce our new self. As we plan to dive into new year, we would love to hear what you expect from a perfect proofreading tool. It is your thoughts and requests which primarily guide our development efforts. And here is to the better texts in year 2019!